Being an Ordnance Survey Get Outside Champion is good fun, not only do you get to meet lovely people and visit lovely places, but you also get given lots of really fun orange kit to wear. 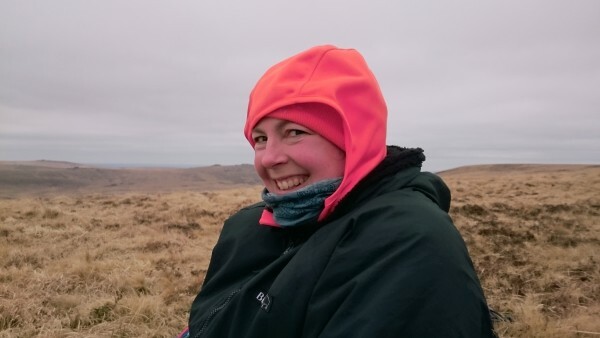 Whilst we were up on Dartmoor with our Ten Tors teams this weekend, Blonde One and I fancied doing a bit of Get Outside posing in our champion outfits. 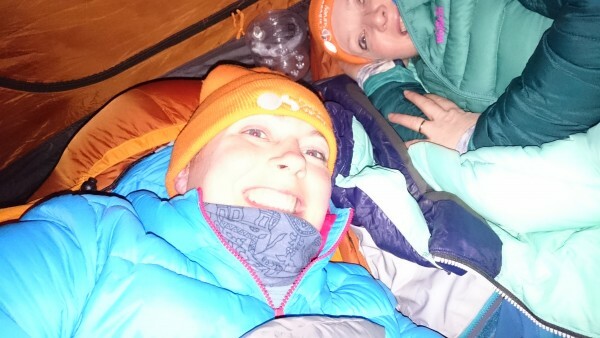 We both dutifully packed our orange t-shirts with plans to take a couple of, ‘Look everybody, here is our wild camp!’ photos; but there was a problem, it was so chilly that there was no way we were going to take any layers off. I ended up sleeping in every piece of clothing that I had with me. The picture below shows me demonstrating how to wear orange whilst waiting for a team in a very cold place (Little Hound Tor).